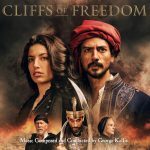 The soundtrack for Cliffs of Freedom (starring Christopher Plummer, Billy Zane) has been released by Aegean Entertainment. I had a lot of fun scoring the film and it features an orchestral/choral score with ethnic instruments from Greece. From Film Music Reporter: George Kallis has been hired to score the upcoming comedy Gutterbee. 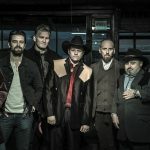 The film marks the second directorial effort of Danish actor Ulrich Thomsen and stars Antony Starr, Ewen Bremner, W. Earl Brown, Pia Mechler, Joshua Harto, Clark Middleton, Chance Kelly and Garret Williams. The movie follows two hopeless dreamers in small-town America who want to open the ultimate German sausage restaurant. Happy new year everyone! I am happy to be scoring the biopic sports drama ‘Lev Yashin’, which tells the personal story of the superstar goalkeeper. Yashin is the only goalkeeper in the history of football (soccer) to receive the Ballon d’Or award. The score will be a mixture of live orchestra and musical influences from the 50’s and 60’s. 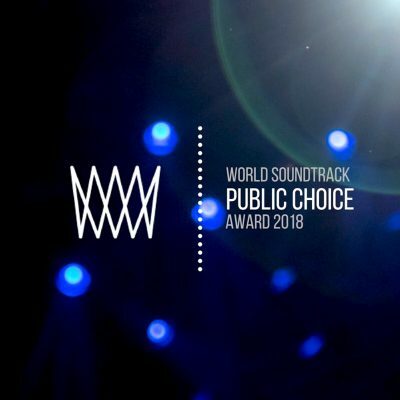 Kallis wins Best Composer for a Feature Film Award! It’s very exciting that my score for ‘The Last Warrior’ has been nominated as best feature score at the Jerry Goldsmith Awards! Link here! It was very interesting to provide music for this fantastic documentary about one of the most ancient Cathedrals in the world, Agia Sophia. Parts of the old city of Constantinople were found underneath it! The documentary will be shown at the Los Angeles County Museum of Art in September! Looking forward to appearing on a composer panel at the Los Angeles Greek Film Festival with some amazing colleagues of mine to discuss Music in Film.